New York City is one of the most exciting cities in the world and is visited by millions of tourists each year. Tourists visit known locations such as the Empire State Building, Times Square, and the Statue of Liberty. However, it is not just filled with tourists; there are plenty of people who live in the city every day. These locals usually do not like to visit these popular tourist attractions too often because they are often crowded with a lot of people. Locals prefer going to places that are quieter and less expensive. Here are some of my favorite “off the main path” places that locals like to frequent in New York City. The Metropolitan Museum of Art is one of the largest art museums in the world and is a favorite of locals. There are over 2 million works of art featured at this museum from several different periods and cultures. Some of the most popular works at this museum include the Egyptian Wing, Tiffany Garden and Medieval Collection. Although there is no charge to get into the museum, visitors, are encouraged to make a voluntary donation. 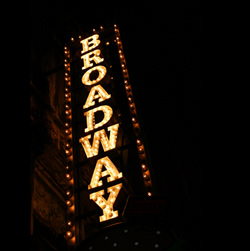 Broadway in New York is filled with dozens of theaters and is often frequented by locals. Many locals love seeing a Broadway show on a weekend night with their friends. Some of the most popular shows featured on Broadway include Phantom of the Opera, Les Miserables, Chicago, Rent, Lion King and Hairspray. To look for upcoming tickets to shows, please click here. Bryant Park is a great park to go to for ice-skating for absolutely free. This park is much less crowded than Central Park and the Rockefeller Center, making it a peaceful place to visit on a Saturday night with your family and friends. The park also features a French style merry-go-round, outside cafe and well maintained lawn. In the summertime you can enjoy Monday night movies from the lawn. Located in the Village, the Strand Bookstore is one of the biggest used book stores in the world. Whether it is a children’s book or a national best seller, it is possible to find it at this bookstore. The books sold at this store are fairly cheap, so it is difficult to leave the store without buying anything. The Brooklyn Brewery is definitely a local favorite. The brewery has been around for almost 25 years and serves the best beer in town. Locals love going to this brewery during happy hour because the beers are so cheap. The Brooklyn Brewery is a great place to hang out with friends and drink a few tasty beers. These are just a few places locals, including myself, love going to in New York City. Many of these places are less crowded and not as expensive as other attractions in the city. Ben Klein works in various roles at 230 Fifth. He enjoys the sights and sounds of big cities and finding new places to eat. 230 Fifth is New York City’s premiere rooftop bar and lounge for those looking for a great club. 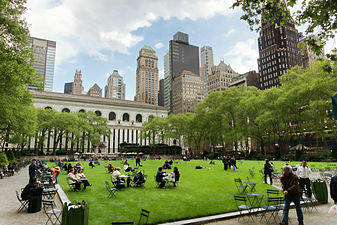 Located in Midtown, 230 Fifth is the largest outdoor dining in NYC.